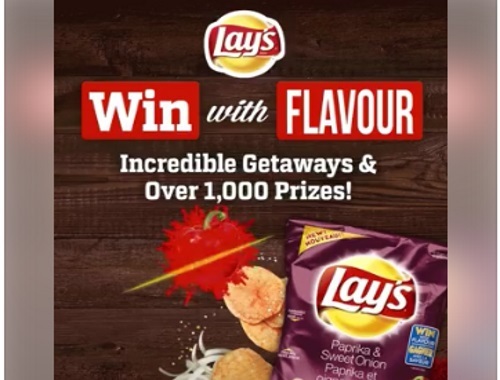 Enter Lay's Win With Flavour contest for a chance to win 1 of 2 incredible getaways and over 1000s of prizes! Look for PINS on specially marked bags of Lay's potato chips or play in full mode without a PIN. (iii) 2 trips for 2 available: (1) Budapest, Hungary (ARV $9,995); and (2) Beijing, China (ARV $10,442). Contest closes September 29, 2017.